President Muhammadu Buhari has warned that those responsible for incessant building collapses across the country, which he described as ‘professional negligence,’ will face the full wrath of the law. 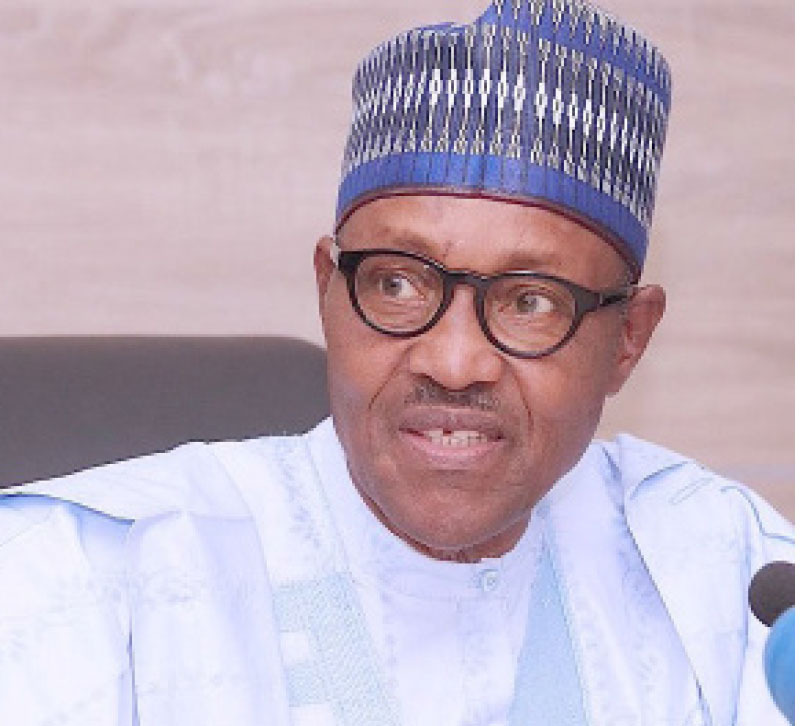 Buhari gave the warning when he met with the leadership of the Nigerian Institute of Quantity Surveyors (NIQS), led by its President, Mr. Obafemi Onashile, at the Presidential Villa, Abuja, yesterday. He told NIQS that the recent tragic incident in Lagos, and many others across the country, were reminders of the need to strictly adhere to quality standards on construction projects. “Young, innocent lives must never be lost due to incompetence and greed. Simply put, no corners must be cut. “I want to assure you that those responsible for such incidents of professional negligence will feel the full wrath of the law,” he said. The president welcomed recommendations and suggestions from the Institute on how to enhance the construction industry, and directed that they make a formal submission to the Minister of Power, Works and Housing; as soon as possible. Buhari also assured his guests that the dark days of impunity are gone for good and thanked Nigerians for clearly expressing their desire to move the nation forward. “Nigerians have clearly spoken of their desire for the country to move forward. “On our part, we remain committed to the Change Agenda. “By the grace of God, and with your continued prayers and support, the dark days of impunity are gone for good,” he added. President Buhari seized the occasion to highlight his administration’s achievements in stimulating the economy, in the last three years, and noted that growing the country’s economy means “national growth must impact the silent majority. “This was why, in the last three years, we focused on key job-creating sectors such as agriculture and infrastructure development. “You will all recall that our agriculture and infrastructure programmes contributed to our exit from recession. This is a clear example of how, if we push ‘inclusive’ job-creating policies, growth will follow. We will remain committed to these and other programmes to ensure the success of our nation is felt by the majority of Nigerians,”he said. In his presentation, Onashile appealed to the Federal Government to create a Directorate of Quantity Surveying and Projects Costs Management to address the issue of unclear delineation of professional functions amongst construction professions within the Government. Onashile warned government of a local arrangement called “BEME” (Bills of Engineering Measurement and Evaluation) in the Nigerian construction industry. “This is unknown in the whole wide world. The World Bank and other international procurement reviewing organisations do not know this “Nigerian arrangement. Said Onashile: “It is not in their books. Government should denounce this and ensure that our national procurements for infrastructure are at par with global standards and should insist on Bills of Quantities “If the above shackles are effectively dealt with, the performance of the construction industry shall surely grow tremendously.” The Institute congratulated the president on his well-deserved re-election and expressed its support and “total confidence in his administration and leadership direction, which have brought hope, progress and stability to Nigeria.” A highpoint of the visit was the conferment of Fellowship of the NIQS; the highest cadre of membership, on president Buhari. The President was also honoured with the “Life Champion of Anti-Corruption Crusade in Nigeria Award.